This year will mark the 10th anniversary of The Dark Knight hitting theaters and setting a new standard. It became the highest grossing superhero movie of all time and while this record has since been surpassed, the film is still widely regarded as arguably the best comic book film ever made. The Dark Knight was highly anticipated before it came out, as director Christopher Nolan’s well received Batman Begins showed a new interpretation of Batman on the big screen. It was an origin film that had a Batman universe in a very realistic setting as if taking place in the real world. This first movie ended with a tantalizing hint of the Caped Crusader’s arch nemesis the Joker. Seeing the clown prince of crime in this realistic setting was something fans were very eager to see. 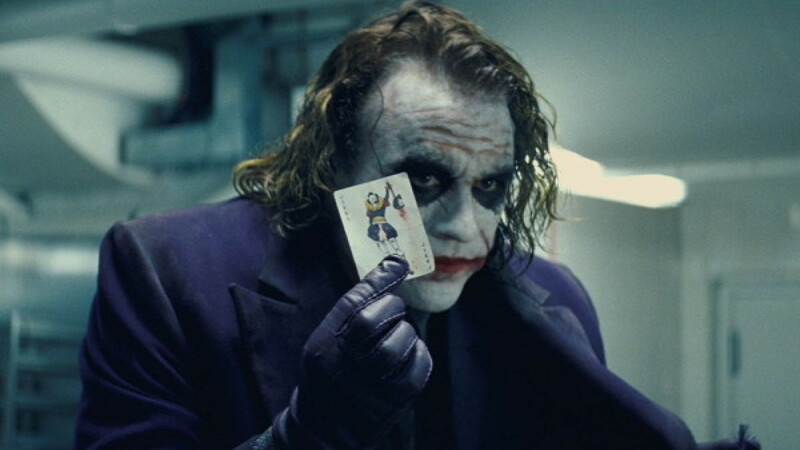 When actor Heath Ledger was cast in the role, there was some blowback, but stories of his intense preparation for the role, and his unfortunate death before the premiere of the film changed this perception and led many fans to look forward to what his take on the character would be like. The results of his performance and of the film itself blew audiences away. The movie portrays a tense showdown between Batman and the Joker, who sets in motion a plan to take over Gotham City by uniting all of the criminal gangs in Gotham under his leadership. Heath Ledger’s Joker was both psychotic and brilliant, with a scarred smile carved into his face and war paint-like makeup that gave him a nightmarish look. How he manipulates both the Gotham City public, police and criminals while setting up the downfall of Batman and his alter ego Bruce Wayne was something to behold. Christian Bale played both Batman and Wayne very well and showed true conflict while he attempted to protect the love of his life Rachel Dawes (Maggie Gyllenhaal) and try to take down the crazed anarchist who seemingly wants to destroy everything he holds dear. 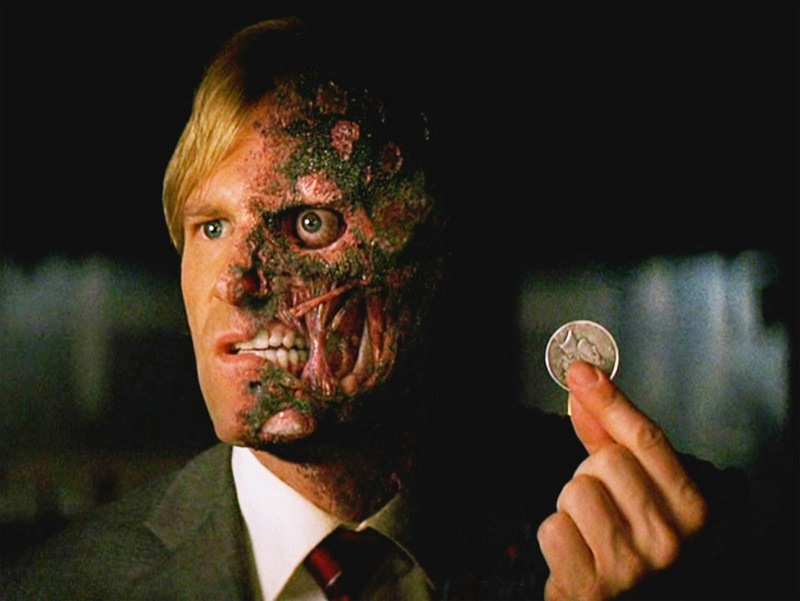 This conflict included supporting a potential rival for Rachel’s affections, in Gotham District Attorney Harvey Dent played by Aaron Eckhart. Dent’s crusade against crime was something Batman supported but this also put the DA in the crosshairs of the Joker, who is eventually able to push Dent over the edge and force him to become his evil and twisted alter ego Two-Face. Nolan’s ability to balance out the idea of a comic book hero like Batman with a gritty crime drama is something that makes The Dark Knight a great experience. The movie begins with an intense and foreboding atmosphere as a bank is robbed by a gang of crooks and one of them ruthlessly guns down his compatriots. It is revealed to be the Joker, and this intensity stays with you for the rest of the film as the Joker starts his rampage against the underworld and broadcasts executions on TV and has judges blown up in their own cars. Batman comes to see what he is dealing with and realizes he will have to go to great lengths to stop this madness. This would come to include having to spy on all of Gotham and violating everyone’s privacy; losing Rachel in tragic circumstances due to a fiendish bait and switch by the Joker; and eventually taking the fall for the death of Harvey Dent and going on the run as a hunted fugitive. 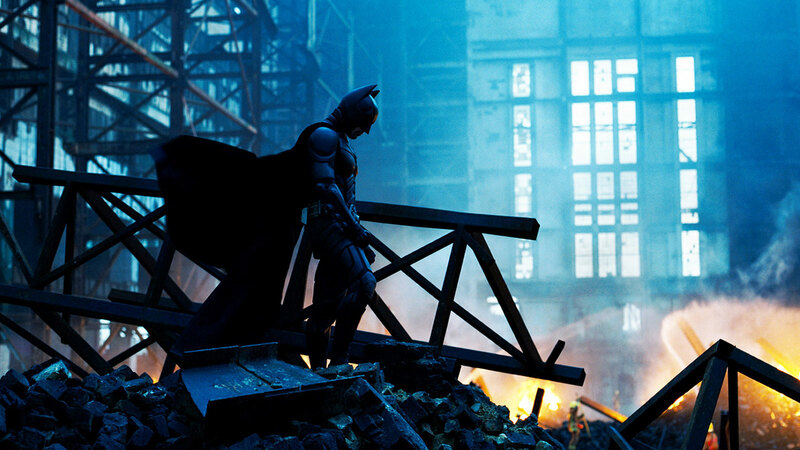 Even a decade later, The Dark Knight is seen as the standard by which superhero films are held to. Whenever there is a great genre film, it is said to be the “Dark knight” of its kind. While the follow-up film The Dark Knight Rises didn’t quite live up to its predecessor, the trilogy as a whole is still seen as one of the best to have come out in recent times. The film increased Batman’s already very high popularity and reestablished the character in cinematic terms after the less-than-enthusiastic reception to Batman & Robin from 1997. It took eight years for DC and Warner Bros. to bring Batman back to the big screen with Batman Begins in 2005, and the huge success of The Dark Knight put Batman back on top and brought success unseen since the first Batman film in 1989 that was also a huge hit for its time. It seems very appropriate that Batman would work well in this realistic setting since his character is somewhat more grounded than other superheroes. He has no super powers and neither do most of his villains. His main concern is stopping violence in Gotham City and bringing down crime bosses. This fits in well with a less fantastical type of superhero film. That’s not to say that other kinds of comic book films with Batman don’t work, since there have been other movies with him that are more like traditional superhero movies and are really good. It’s just that The Dark knight is an excellent blend of both worlds. Because of this, the film will be remembered well beyond these first ten years. 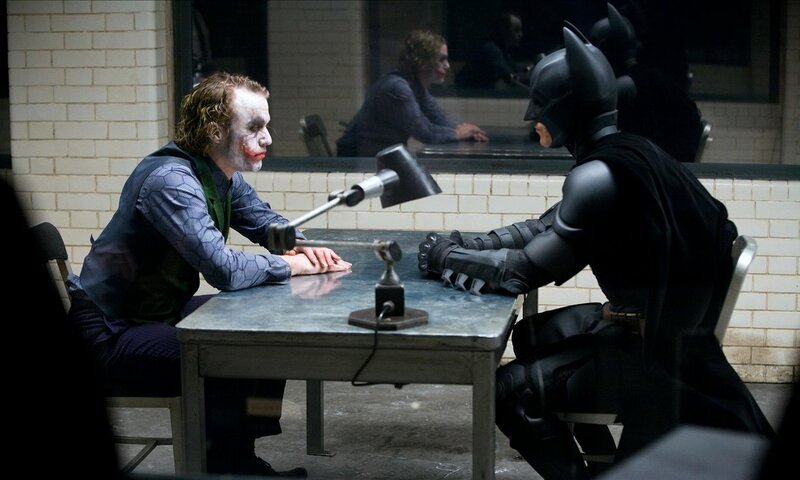 A decade on and I think The Dark Knight is still one of the best superhero films of this period. It elevated the Batman franchise to a whole new level, Bale is at his best as Batman, and Heath Ledger’s performance as the Joker is simply brilliant. 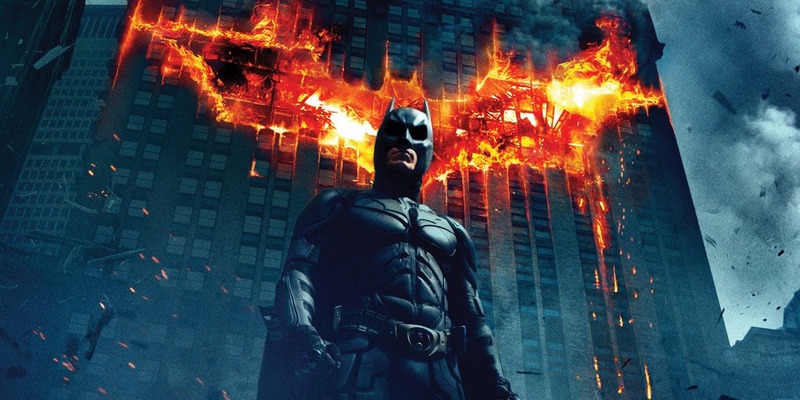 The Dark Knight is easily the best of Nolan’s Batman films, and a cinematic landmark of the genre. Completely agree. We all knew we this film was a masterpiece when it came out and thankfully this holds up to this day. The only regret is that the film could not be used as a launch pad for the DCEU. With the Dark Knight and the trilogy as a whole, Christopher Nolan showed that comic book films can transcend being just that and classic films in their own right. Nolan’s influence can definitely be felt in Zack Snyder’s Man of Steel I’d say. The grounded take on superheroes has been shaped by Nolan’s work. Not just with DC but even Marvel. Examples include Logan and Winter Soldier. Both films like The Dark Knight transcended their comic book trappings.